Listen to an exclusive Voices from the Field interview with Silver Birungi James, PEN's Co-Regional Coordinator for East Africa, below. Since my childhood, I’ve had a passion for wildlife, but when I joined the Chimpanzee Sanctuary & Wildlife Conservation Trust as a Caregiver at Ngamba Island, this strengthened my inspiration to become a primate educator during my experience with children and at the sanctuary. 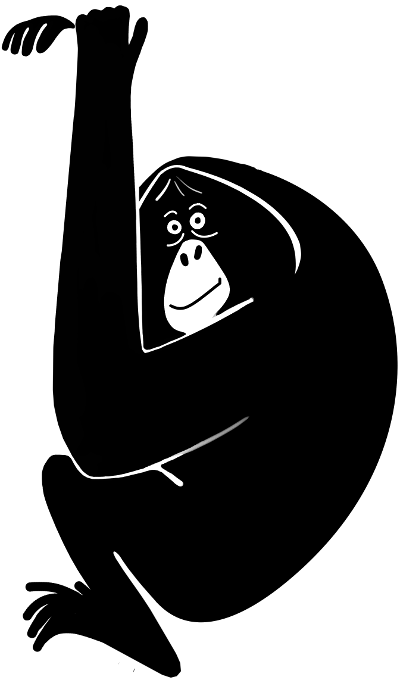 However, today the challenges facing people living close to chimpanzee habitats and the struggle for these primates to survive also have inspired me because the people are struggling to live in harmony with the animals. At the same time, the animals are struggling to survive because the people are cutting down their habitat, so primate conservation education here plays a very great role. 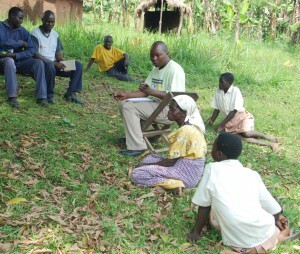 Human-wildlife conflict remains a challenge facing conservation education in Uganda, but interestingly in some of the areas where we operate, positive results have been noted. For example, recently two adult chimpanzees with a baby camped at a primary school in the Hoima district. The children and teacher acted very well. 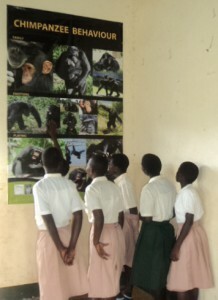 They knew what to do, informed us about these chimpanzees that had camped at this school, and then we sent in the habitat monitors to try and observe what was going on. So, all in all, a positive attitude and knowing what to do in such a case all stems from the education work we have been doing in the area. One of the challenges that I encountered is the attitude of people towards chimpanzee habitats and the need to protect them. The Change My Community Education Program for the Chimpanzee Sanctuary & Wildlife Conservation Trust empowers young people with hands-on skills. It is focussed on different things (about eight things), including forest ecosystems and conservation, culture and environment, our role in the forest, energy saving stoves, tree nursery establishment, soil management, and vegetable growing. This program has empowered the children to become ‘change agents’ and has helped them to have positive attitudes towards the chimpanzees and their habitat. This has been demonstrated in the activities that they have engaged in, such as planting trees, constructing energy saving stores, but also changing the attitudes of their immediate family and community in general. Other activities include drama shows that they’re also engaged in. So, all these activities involve the children in the education program and have helped them to have a positive attitude, but also to become ambassadors of change in their community.